We are excited to have just launched the new boarding school website design for the Cognita Groups Somerset school – Chilton Cantelo. 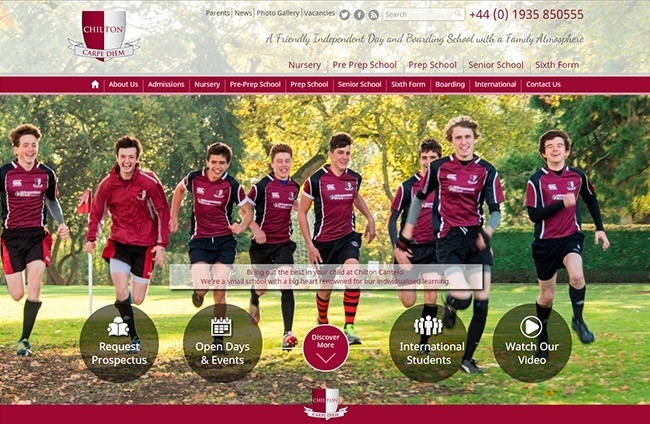 We worked alongside the school to plan, design and build a fully responsive website to showcase the beautiful school and ensure they are visible across all digital channels and smart devices. The website design was plugged into our own dedicated SchoolCMS platform which helps schools add and edit content with ease. It also allows each page of the website to be updated individually to help improve user journey and over website conversions. Chilton Cantelo’s new website reflects our school’s strengths. Through the use of large photos, easy navigation and strong branding of our USP and news section our existing parents, pupils and prospective pupils can quickly see what makes this school special. Well done to the team at Innermedia for delivering a great website. If your school website is in need of an update or re-build please call our team and we will happily come visit to show you how we can help your school discover online success.